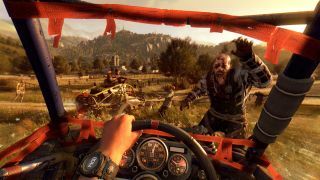 Dying Light's first major expansion has been announced for ages, but we still have a while to wait until it's released. According to the trailer above – which briefly shows the decidedly less urban setting for the expansion – is releasing "Q1 2016", which is corporate speak for "some time between January and March next year". It seems like a long wait for an expansion, but The Following sounds like it'll be a lot bigger and more ambitious than the norm. In addition to buggies and weapons, a whole new open world will be included. That, combined with the game's ongoing modding support, will no doubt help Dying Light endure longer than your average zombie-bashing action game.